Wondershare Data Recovery is a powerful yet easy-to-use Windows data recovery software that can recover your deleted, formatted, lost and inaccessible data from PC, USB drive, external hard drive, mobile phone, digital camera, iPod, MP3/ MP4 player, and other storage media. Work for Wondershare Data Recovery? Learning about Wondershare Data Recovery? "The best option to recover information from your computer"
The best thing about Wondershare Data Recovery is that it is a safe and very effective software for the recovery of data lost or deleted in an unconscious way. Allows the recovery of videos, photos, music, documents, lost or deleted emails, from the hard drive of computers, as well as USB drives, external hard drives, and other storage devices. It is a versatile tool but if companies are not able to adapt and make the necessary changes or updates to maintain a product standard, the program runs the risk of becoming obsolete. "A software that you have to have installed"
The installed program is quite fast, and the main reason for this is its size which is approximately 54 MB on the disk. Although the size seems small, compared to the data recovery software we have reviewed so far, The Wondershare program is the largest. Users should know that if the files have been deleted, hard to format the computer, and Windows reinstalled the chances of recovering any file drastically decrease. What File Recovery solution do you use? Wondershare Data Recovery is a very useful and easy-to-use software, which allows you to try to recover files lost or deleted by mistake in some part of your pc (by formatting and not backup, by some virus that I delete the data, etc) , as well as in removable disks. It allows several types of scanning and also allows you to choose the types of files to recover (videos, documents, music files, photos) and the location where you should look. the current interface does not please me as much as the one I had in previous versions. In addition, it also requires some power in your PC to avoid freezing, which makes it difficult to use in older computers. is a gra software, allows you to recover much of the lost information, but you must be clear that you can not recover all the files. on several occasions it has allowed me to recover files (mainly photos and word documents) that I lost during precesses of formatting my PC, as well as some files that I lost due to system errors and unexpected restarts. I even lent a pendrive to someone at school and this person formatted it, but I also managed to recover some information. "Be sure to recover your lost information with Wondershare data recovery"
Wondershare Data Recovery is a powerful application that helps recover data seemingly lost. The Removed Recovery module of the program, for example, works as a standard restoration tool. The format recovery module is very powerful. It is capable of recovering data even if the hard drive or partition has been formatted. It is compatible with the file systems FAT12, FAT16 and FAT32, as well as with NTFS, so it will work on memory cards, USB memories and even on old format diskettes and hard disks. And the Partition Recovery module can back up and restore the partition table. Although if you forget and the system is destroyed by a virus, the program can recreate a damaged partition table, quickly restoring access to all units. El módulo Raw Recovery hace un escaneo profundo de su disco, localizando los datos perdidos incluso si el sistema de archivos ha sufrido daños severos. Puede obtener una vista previa de las imágenes antes de obtenerlas para asegurar que los archivos localizados son los correctos. Recover all types of files, from Office documents to MP3 songs, through photos, videos and emails. Its scanning - which can be normal or deep - identifies fragments of files in any storage medium, be it a USB memory, a hard disk or a DVD. Once the system is scanned, WDR shows what it has found, along with previews and indicators of the quality or "recoverability" of the same. The files can be recovered one by one or in bulk. The results can be filtered by name or route, as well as export in a listing in TXT format, useful to communicate with technicians. 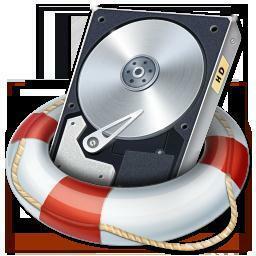 It offers a hard disk recovery service without risk, which minimizes damage to recovered data. Its read-only feature makes it a good choice for external hard drive recovery. This hard drive data recovery software applies four different recovery methods to ensure that all deleted data can be recovered from mobile phones, MP3 / MP4 and digital cameras, among other multimedia devices. "Is adequate, could be brilliant"
This product works as it is advertised. We recently decided to upgrade our workstation computers. When one lady in the office "accidently" deleted her personal files from the my documents folder and her recycling bin she was distraught. We scanned this hard drive with this software and it pulled it right up. We were also impressed with the "back up" features of the program. This software was very agile and useful in several respects. The program is so slow. It could be much faster and there arent enough customizable search fields. Such as just search in this folder or what folder. The UI is a tad busy and confusing. In order to successfully use this program keep your expectations in check. This isnt a magic wand and it will not find your files in 2 seconds. This takes time and will definitely take some getting use to in order to use. In the end, it is definitely worth it because you are able to recover files you once thought were wiped away. Like I stated above, we have been able to recover files from several "accidents" in the past. This software also provided us with a quick, useful way of backing up data. Alas, we no longer use this software as we have went completely to saving documents to the cloud. "Not the Best, nor the worst"
wondershare personal license is cheaper than most of the other data recovery software even when some of then offers a free tier. the recovery speed is good even thou the scanning takes forever. there are several recovery method available for you, there are different scanning levels such as quick and deep depending on how deep you want to scan. for types of recover, you could do simple storage recovery in case you deleted some files or there is partition recovery when you accidently deleted a whole partition. the program supports both windows and mac , also they support all the popular data types such as FAT32 and NTFS. while recovering you have to option to arrange the files by type and sort them which is really helpful. the trial version of wondershare data recovery is a joke, you could recover up to 100 MB of data which is far too insufficient to test the program. the support team is very bad, i used to have the program stuck while scanning my hard disk and sent them an email, it took them over a week to reply. if you want to recover lost data this is one of the affordable option there for you. this is not the best but it'll do the job. its a data recovery software that helps you regain the lost files or hard disk partitions. this is one of the affordable software in the market for data recovery. "Recovers your accidentally deleted files." simple program, with a single mission, recover as many files as possible. It has a nice graphic interface and comfortable to use. Your recovery assistant makes everything easier to explain and guide you in the steps to follow. It has two types of scanning (normal and deep), which differ in the time it takes the program to perform the work and the number of files you can recover. Like many programs of this type, it fails to recover 100% of lost or damaged files, and even some files are thrown out of format or corrupted. It does not work properly for files that take some days borardos, due to the overwriting that occurs on the disks. an easy program to use. You do not need previous knowledge or anything, just install and follow the steps indicated by your assistant. As a tip, use wondershare with another program of the same type to increase the chances of recovering files. It allowed to recover some lost files, (around 60%) after my defendants were infected with a Ransomware and I was forced to format my laptop. This also allowed me to recover some information and files that have been deleted by mistake by other people from their personal laptops. "You don't have to worry about deleting your files anymore!" I like that it can recover your files even after you had permanently deleted it which is very useful for scenarios where you may have deleted something by accident. Perhaps the fact that it is quite confusing at first when using it as it can be quite an advanced software. Would definitely recommend this to anyone who often works with many files and makes backups as this could save your time if you accidentally delete something. It allows for ensuring that we do not delete any important company related files and if we do, we can simply use it to recover them. It was an easy process of recovering file. Lost a file, and recovered it. Very easy to learn. I think if it's data recovery for users with less experiences, they wouldn't know which recovery tool to use such as "formatted disk" or "lost partition". For most computer savvy users, this is an easy problem and you would know where data is. I would recommend it if the users know where their data is located. Accidentally formatted disk recovery and was able to recover the files. "WONDER SHARE IS A WONDER"
The scan freezes, remaining time indicator isn't accurate. I'm able to recover all the data which I had once deleted but which will help me later to do the analysis. "the best app to recover data"
Las copias de seguridad son rapidas, además te da muchas opciones de recuperacion. "One of the most important programs"
When we have to use this program , always looks impossible to recovery but this amazing program , allowed me recover data from my family at home but work data too . easy to use, seems to work very well so far. Unintentionally deleted files and hard drives with corrupt file systems. "Wondershare Data Recovery - overall happy"
Ease of use. We needed something for a small business to backup and recover data on short notice and something most user can do themselves. Time to recover however we are still relative new to this product and still learning! * We monitor all Wondershare Data Recovery reviews to prevent fraudulent reviews and keep review quality high. We do not post reviews by company employees or direct competitors. Validated reviews require the user to submit a screenshot of the product containing their user ID, in order to verify a user is an actual user of the product. Hi there! Are you looking to implement a solution like Wondershare Data Recovery?